Made in Africa. Includes rope hand strap. 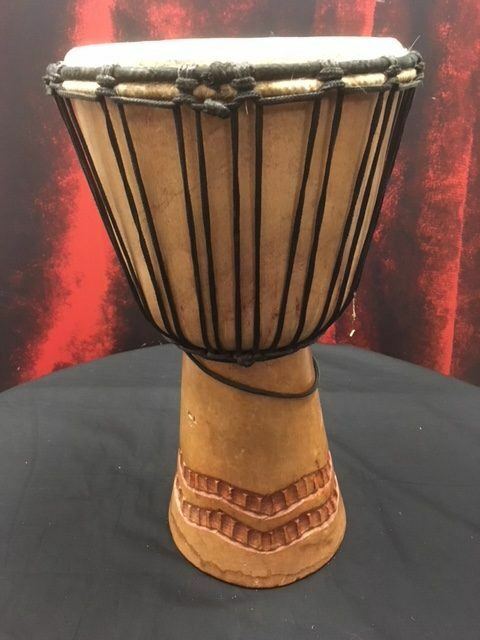 This djembe is in really good shape! Some scratches and scuffs from normal use. 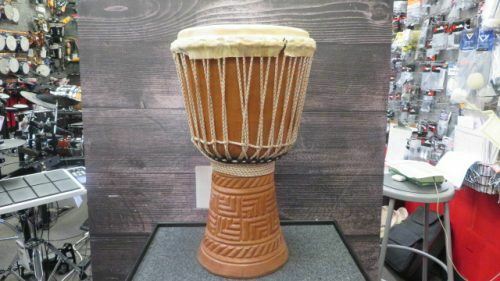 Djembe itself plays great with no issues. Head has plenty of life left in it. 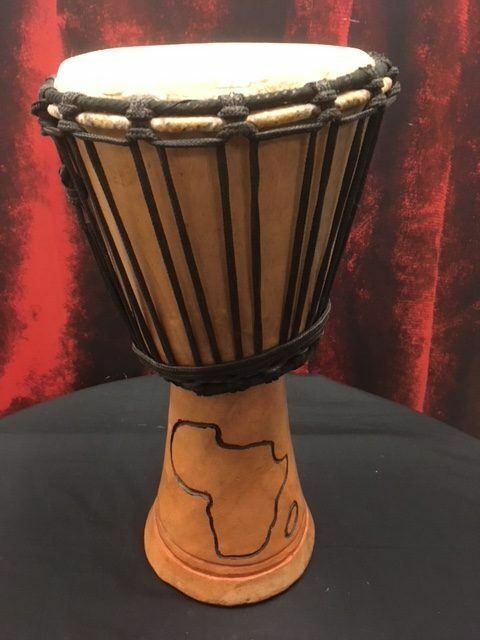 Beautiful hand carved all solid 10" Djembe. Natural skin head. Made in Africa. Sounds as good as it looks. 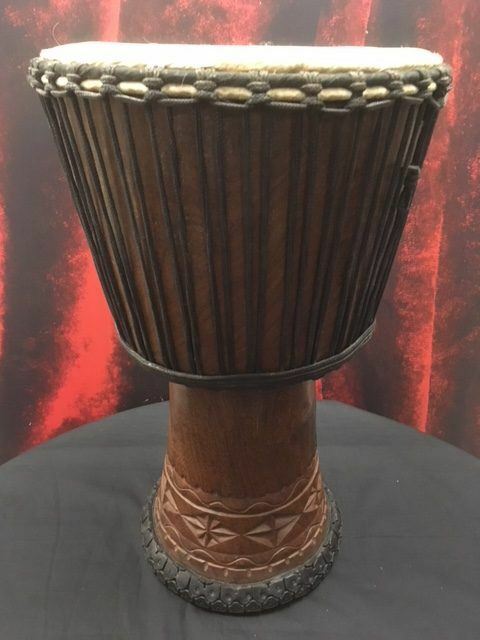 10" Remo wood Djembe in good condition. 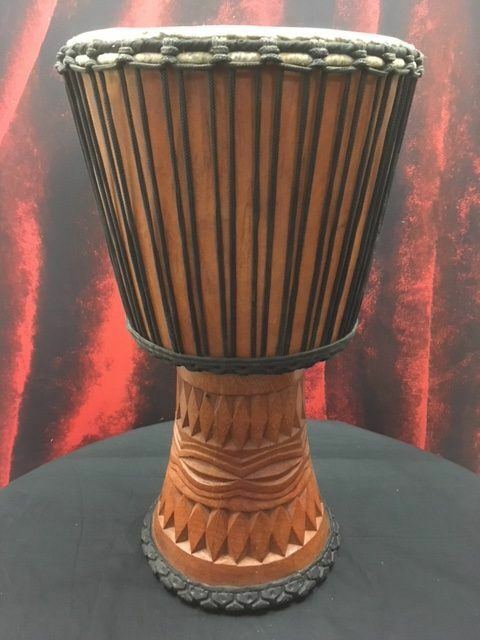 This 14″ hard carved Mahogany Djembe is custom made and one of a kind. 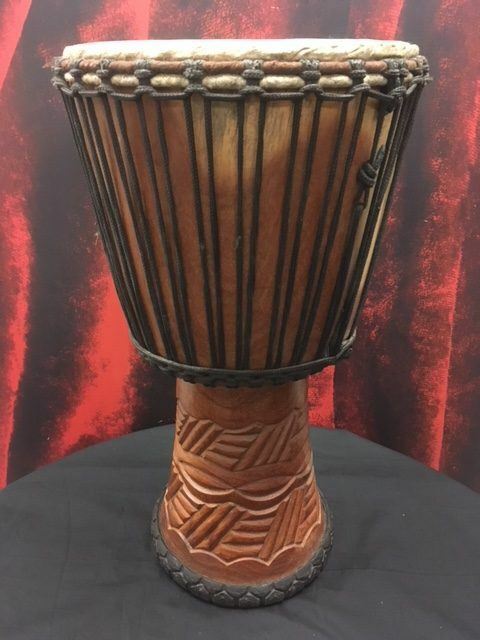 This 10″ hard carved Mahogany Djembe is custom made and one of a kind. 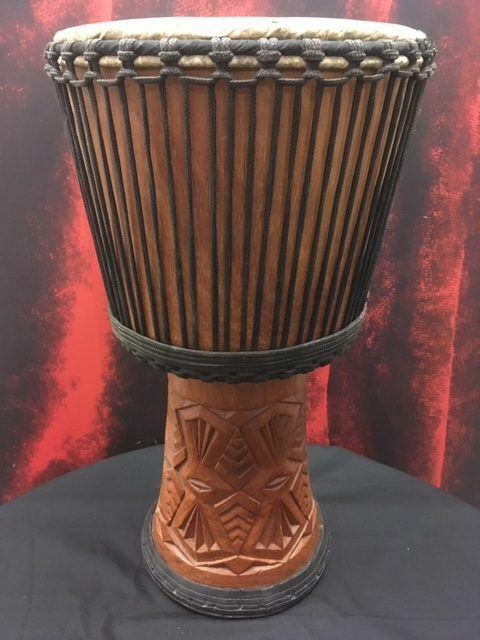 This 10" hard carved Mahogany Djembe is custom made and one of a kind. 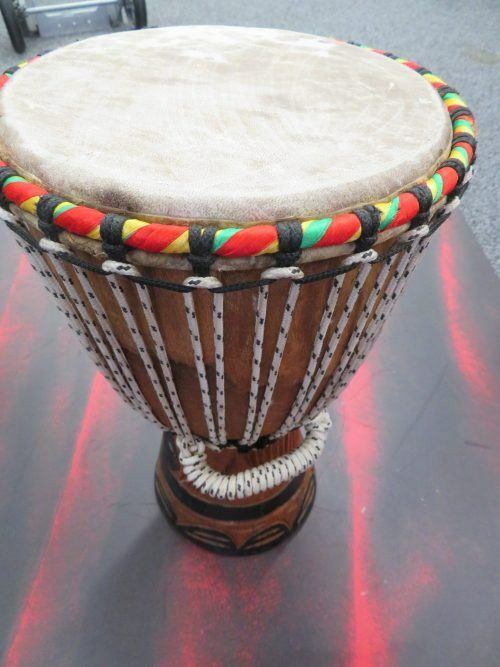 This Rhythm Traders 13 inch authentic African Pro Djembe is in great condition. 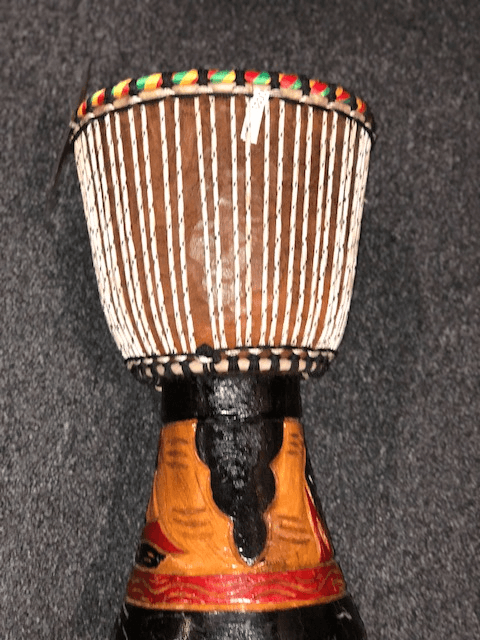 It is rope tuned with an animal skin head. 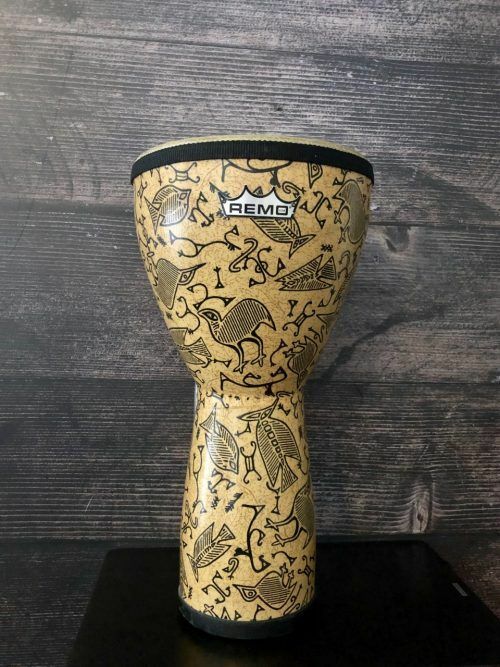 It has a very unique design and has a remarkable tone. Made in Africa. Includes rope hand strap. 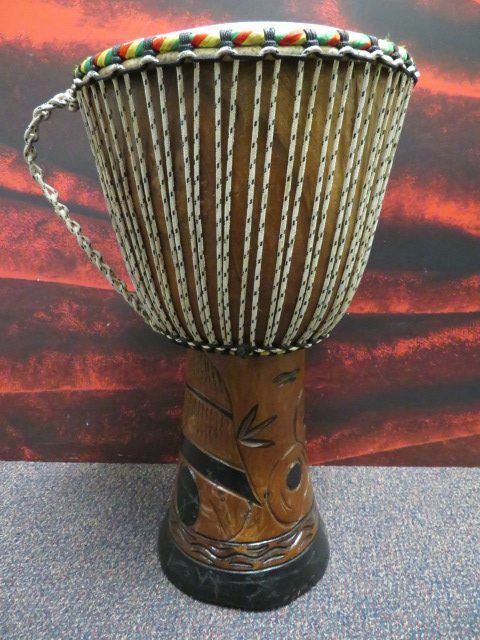 This djembe is in really good shape! A few scratches and scuffs from normal use. 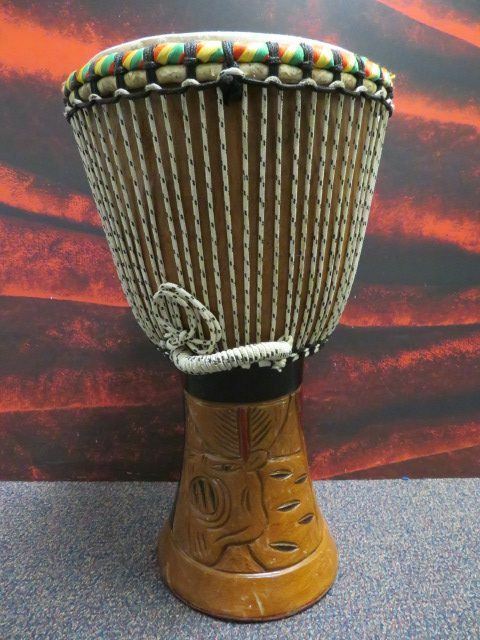 Djembe itself plays great with no issues. Head has plenty of life left in it.